16 Foods That Boost the Immune System | Eat This! A healthy immune system is like a freight train. Once you have built up momentum, you can break down almost any obstacle. We can eat foods that provide all of our protection systems with exactly what they need so that most of the “bugs” we encounter never get us sick. If an infection does take hold, a healthy body will fight it off quicker than a weaker one. When the liklihood of getting sick is increased, like in hospitals or schools, eating for the immune system could be the difference between a work/school day and a sick day. Here are some of the best foods for the immune system. Dried goji berries can usually be found at health food stores or ordered online. Goji berries contain zinc, vitamin C, vitamin A, and disease fighting polysaccharides and antioxidants. Goji berries also contain L-arginine and l-glutamine which are two amino acids useful to the immune system. The longevity berry, as goji berries are known in China, may also help to balance the beneficial bacteria in the stomach. Elderberries contain a moderate amount of many amino acids, vitamin A, vitamin B, and a large amount of vitamin C which are all beneficial to the immune system. 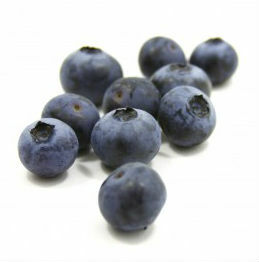 Bluberries contain about 1/4 of the suggested daily allowance of manganese, vitamin C and vitamin K as well as powerful antioxidants called anthocyanins. Walnuts contain essential omega-3 and omega-6 fatty acids and are good sources of manganese, phosphorus, magnesium and iron. Black walnuts may have additional digestive benefits but English walnuts contain more Omega-3 fatty acids. Walnuts may also boost white blood cell function. Flaxseeds contain essential omega-3 and omega-6 fatty acids, high levels of B vitamins, selenium, copper, phosphorous, manganese, iron, calcium and are good or very good sources of many other vitamins and minerals. Flaxseeds may also boost white blood cell function. Pumpkin seeds contain vitamin K, B vitamins and other nutrients including zinc, manganese, and phytosterols. Pumpkin seeds may aid in prostate function. Tahini, or sesame seed butter, contains antioxidants called lignans. One of the main ingredients in hummus, tahini, is also a good source of calcium, iron, zinc, and magnesium and may help strengthen the heart, vascular system and respiratory system. Tip: Try sprinkling flax seeds on cereal. Garlic contains vitamin C, B vitamins, manganese and alliums which are helpful in fighting viral, bacterial and fungal infections. Garlic also boosts white blood cell activity and may be especially helpful to people with compromised immune systems. Ginger is widely indicated for many digestive and respiratory issues. Ginger has internal and external antiseptic properties and may reduce inflamation as well as a host of other benefits to the immune system reported in studies from England, Denmark, Isreal and others. At the 2006 annual meeting of the American Association for Cancer Research, Dr. Jennifer Rode stated that ginger caused cell death of ovarian cancer cells which had become resistent to chemothearpy and the immune system as well or better than conventional treatment. Ginger is great in tea and other beverages and can easily be added to many vegetable recipes. Watermelon contains moderate levels of vitamin C, vitamin A and high levels of the carotenoid lycopene. Studies show that watermelon helps eliminate ammonia from the body and increases L-arginine levels which helps to heal wounds faster. Shiitake mushrooms contain zinc, potassium, manganese, selenium, B vitamins and high levels of copper. Shiitake mushrooms and extracts may have anti-viral properties and have been the focus of numerous studies as a possible cancer treatment. Citrus fruits are highly available sources of vitamin C which is a potent antioxidant which may block histamine and reduce inflammation. Freshly squeezed and organic citrus juices may contain more nutrients per serving than concentrate and conventional. Kale contains very high levels of vitamins K, A, and C as well as moderate levels of copper, selenium, manganese, and many other minerals and phytonutrients. Kale is beneficial to the immune system because it is such a rich source of the nutrients needed for proper functioning. Oysters contain very high levels of zinc, copper, selenium, iron, vitamin B12 and vitamin D. Oysters are good sources of essential fatty acids. The fatty acids in oysters may to reduce symptoms of an overactive immune system and promote gastrointestinal health, studies show. Sardines contain high levels of B vitamins, vitamin D, selenium and essential fatty acids. Sardines contain moderate levels of many vitamins and minerals which support the immune system, making it an especially healthy choice among fish. The National Institute on Aging began forming a study in 2009 on the effects of the fatty acids found in sardines and other fish on the immune system. Tuna is widely available as canned fish and contains high levels of B vitamins, phosphorus and zinc as well as moderate levels of many other minerals. Tuna is one of the most popular fish in the American diet. There have been many studies which list subjects as having consumed 2-3 servings of fish per week, likely to be tuna, and experienced reduced symptoms of rheumatoid arthritis, psoriasis, and other types of infammatory disorders. Many researchers and doctors believe these diseases are result of a malfunctoning immune system. Tip: These days, it is important to consider the amount of mercury in the fish we eat. Some experts suggest that people (especially pregnant women) should limit our weekly intake of seafood to 2-3 servings.